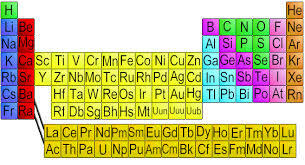 Scientists at CERN in Geneva have announced the discovery of the heaviest element yet known to science. The new element Governmentium (Gv). It has one neutron, 25 assistant neutrons, 88 deputy neutrons and 198 assistant deputy neutrons giving it an atomic mass of 312. These 312 particles are held together by forces called morons which are surrounded by vast quantities of right-on-like particles called peons. Since Governmentium has no electrons or protons, it is inert. However, it can be detected because it impedes every reaction with which it comes into contact. Even a tiny amount of Governmentium causes a reaction which normally takes only a few days to complete to four years or more to finish or resolve. Governmentium has a normal half-life of 2- 6 years. It does not decay but instead undergoes a reorganization in which a portion of the assistant neutrons and deputy neutrons exchange places. In fact, Governmentium’s mass will actually increase over time since each reorganization will cause more morons to become neutrons, forming isodopes. This characteristic of moron promotion leads some scientist to believe that Governmentium is formed whenever morons reach a critical point of concentration. This hypothetical quantity is referred to as critical morass. When catalyzed with money, Governmentium becomes Administratium, an element that radiates just as much energy as Governmentium since it has half as many peons but twice as many morons. Vast sums of money are consumed in the exchange yet no other by-products are produced.